Working in partnership with the Racine Heritage Museum and Preservation Racine, The Prairie School Social Studies Department, led by Mr. Alan Mills, produced a video documentary of Racine’s Mound Cemetery guided tour. Steve Bedard, Superintendent of Cemeteries, has been leading Prairie students on this tour for over ten years. The project and documentary can be viewed below. Copies of the film will also be distributed to the Racine Public Library, all RUSD schools, as well as the copies housed at the Racine Heritage Museum, Preservation Racine, and here at The Prairie School. The film is intended as a resource for the greater Racine community and will be made available to any who wish to view it. In addition, we will complete work on providing an audio walking tour for visitors to the cemetery. The cost of the project has been offset by several generous donations, as well as a grant from the Racine Community Foundation. Without this generous support, the project would not have come to fruition. 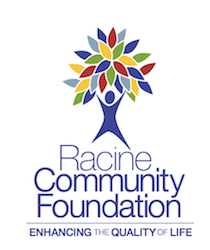 Click here to learn more about the Racine Community Foundation. This entry was posted in Community Outreach, Volunteer & Event by Communications Department. Bookmark the permalink.